The Press series focuses on creating a stable platform out of the torso and lower body in order to efficiently push something up overhead. Since we work exclusively with dumbbells (versus barbells) in the Kids class, there is an increased requirement for shoulder stabilisation as they learn to move an external load. We will work towards perfecting the Shoulder Press and integrating the dynamic component of the Push Press. 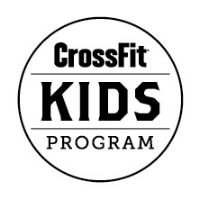 Kids and Teens Classes are back!